Has there ever been a more polarising, mainstream trend? I don’t think so. Bulbous, bold and vaguely Orthopaedic looking, this shoe is the Marmite of footwear. 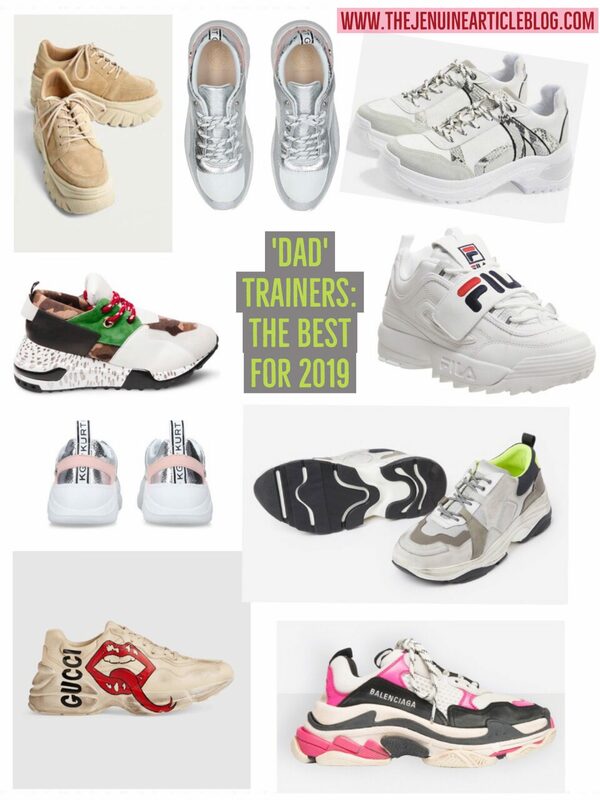 For the past year “Ugly Dad Trainers” – quite literally a modern day version of the shoes worn almost exclusively by middle-aged Dads in the early 90’s, have had a serious revival. Celebs and Fash-Pack members the world over cannot get enough. If you fall on the “Love Them” side of the fence, then I’ve got some great news for you. This satisfyingly, so uncool its cool shoe is hanging around for Summer. If you are on the “Hate it” side, keep reading and maybe I can convince you to change your mind? This is “Ugly” Dad Trainers – A continuing trend edit. How to wear them and why they are so popular. 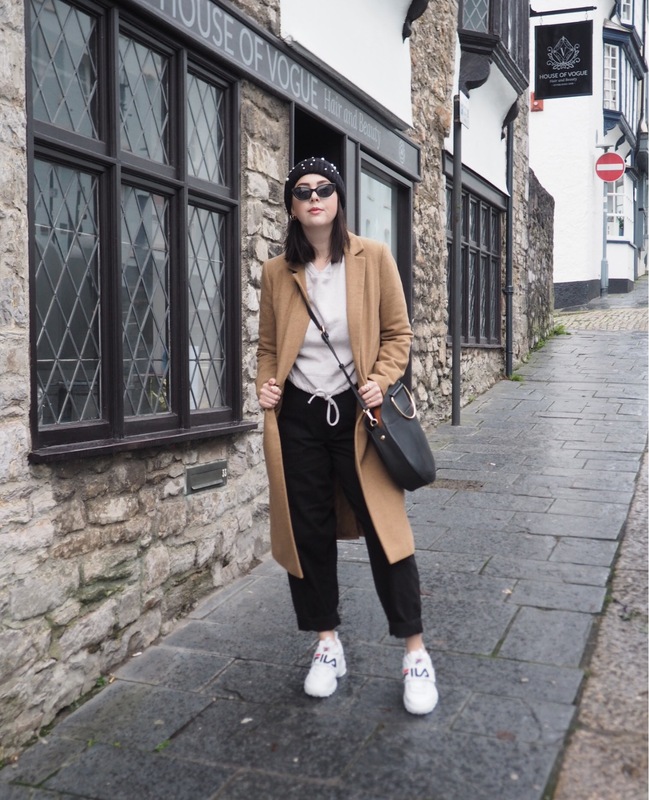 Light-wash denim with a boyfriend or Mom cut, utility trousers, boiler suits, flannel shirts. Basically style it like a 90s dad and you can’t go far wrong. Yes, thats right, Trainers as evening wear. I’m not trying to be controversial. We’ve already had to deal with great “Vegan Sausage Roll at Greggs” debate, I’m not sure we’ve had long enough to recover before diving head first into another heated issue. The “ironic” way in which fashion has used this shoe is thought to be a ripple effect from the “Me Too” movement. That women are shunning traditional symbols of femininity and taking ownership of how the look and feel. Why should there be an expectation that women should wear sky high heels – often costing their own comfort and risking health complications for the sake of an outdated beauty standard? If I’ve really not convinced you and Ugly Dad Trainers are just not for you. Do. Not. Worry. Other “athleisure” footwear that remains suitably stylish for the upcoming seasons. 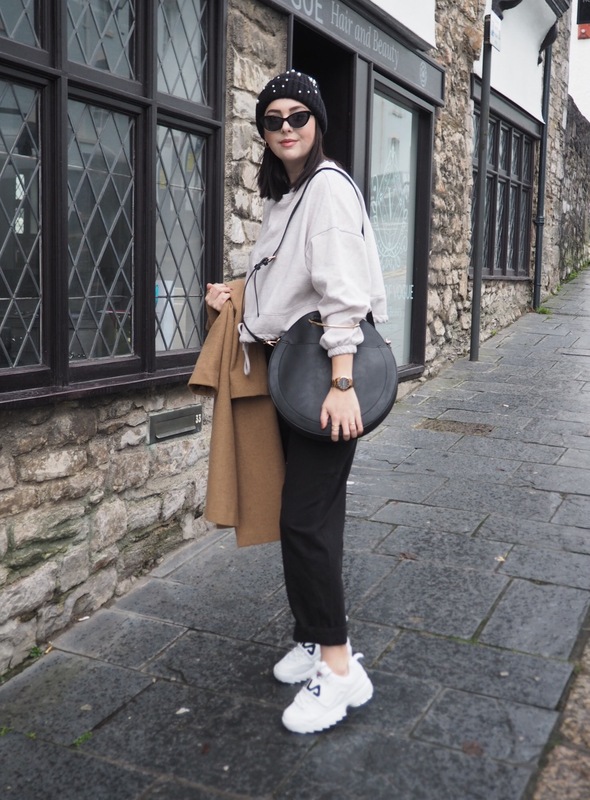 Box-fresh Plimsolls, yes the simple, yet effective slip ons are winning on every front. 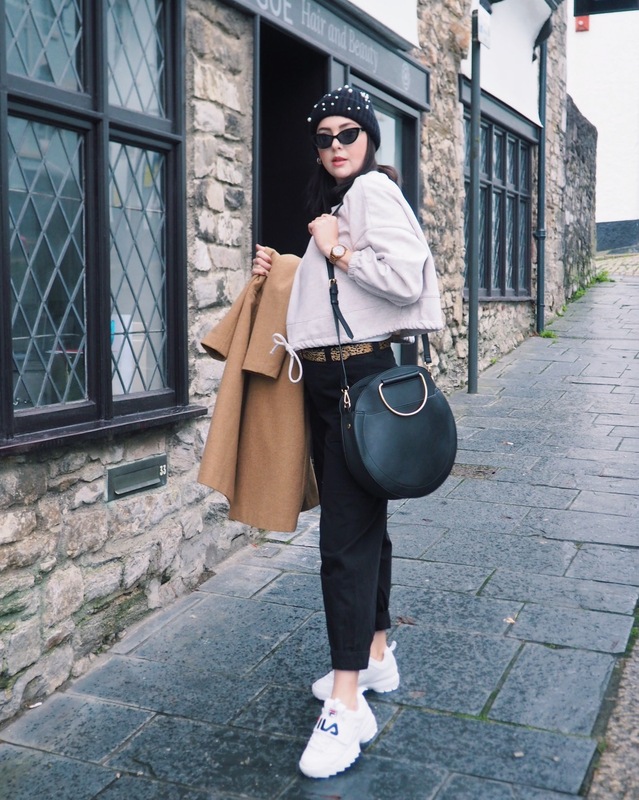 Stylish, practical, versatile and affordable. 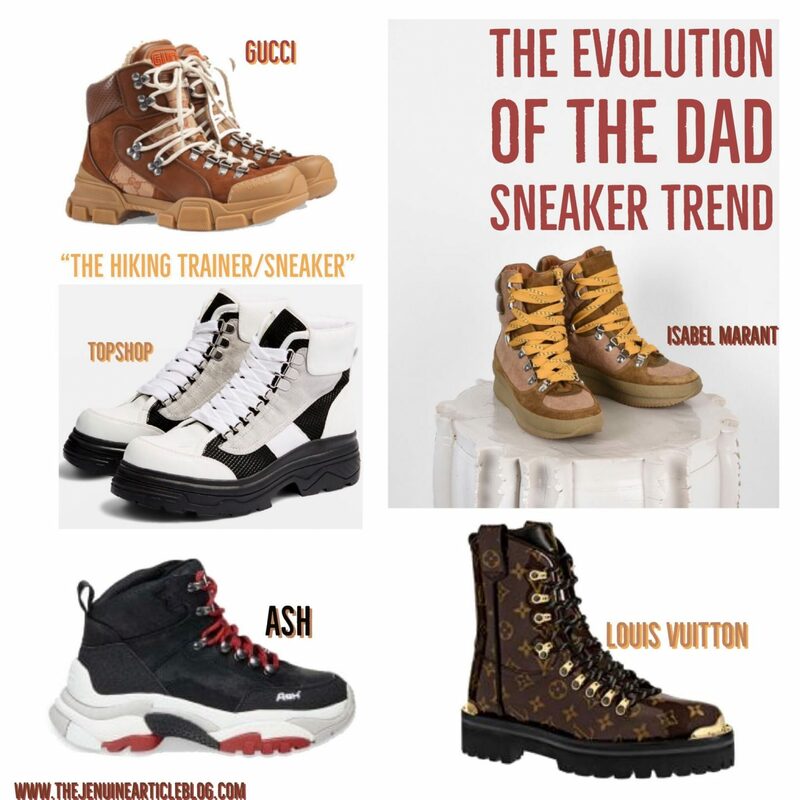 The other footwear trend gaining momentum is the Hiking Trainer – to me this is evolution of the Dad Trainer trend in motion. See below for my favourites. Gucci, Topshop, Isabel Marant, Louis Vuitton, Ash. Is there anything from the 90s that isn’t coming back? Combats? Back. 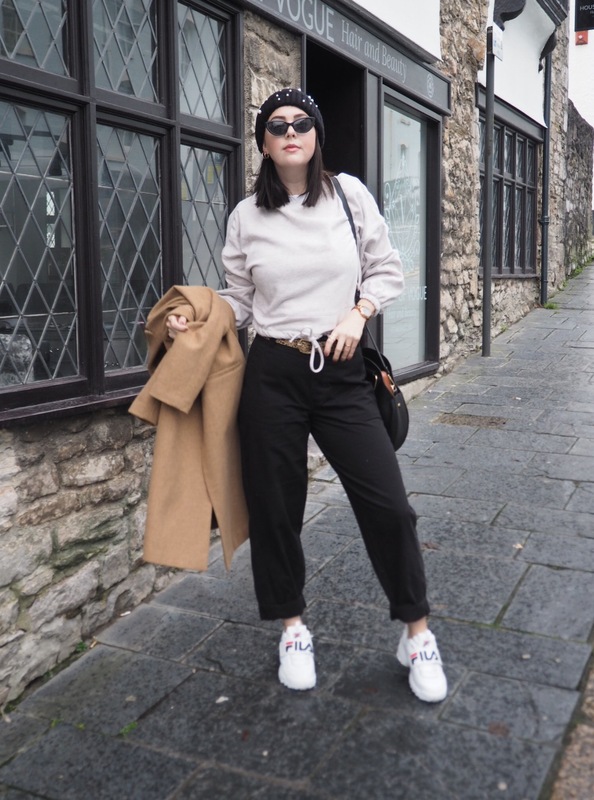 Bum Bags? Back. The Spice Girls? Up for discussion…. What 90s trend are you wishing would have a revival? How do you feel about the shoe that is more divisive than Marmite- LOVE IT? HATE IT? Let me know how you feel and why below?